As we chatted over starters and broke bread, the bull moved off and another came to drink, then another. Somewhere through the main course, a breeding herd gathered around opposite us, with a very small elephant calf. We gawked at the noise of 10 toilets flushing in succession as the little calf tried to find water with its trunk. “It’s amazing how blasé you get’ said Kay ‘we’re just sitting here, having dinner and a chat.” She was right. If one of the bulls didn’t like us, it wouldn’t have taken much for him to do something about it from the other side of the pool, but they were calm and Nick was used to this behaviour. It had almost become Somalisa Camp’s guaranteed dinner-time entertainment. Kay & I had come to Hwange during green season, a time when game viewing is far more challenging and so we were expecting game sightings to be few and far between. Luck was on side, however and on the first morning game drive into Hwange National Park we found a pack of twelve wild dogs moving along the roadside, sniffing bushes and trying to pick up the scent of something to chase for breakfast. We followed them for at least ten minutes as they scoured both sides of the road for a scent before disappearing into the thick brush. Later that day, driving with Nick from Hwange Main Camp we spotted huge amounts of plains game, zebra taking dust baths in the afternoon light, big herds of buffalo spread out across the plains and a big sable bull whose elongated horns curved all the way back to his shoulders. The next morning the lions were still right where we left them and had begun slinking over to a nearby waterhole to drink. In the background a black-backed jackal was chewing pieces of meat off an elephant carcass as the vultures watched. We moved over to another waterhole and Nick was distracted by movement on the water. “What’s going on here?’ he said ‘I’ve never seen this before.” Sitting on the water were two Egyptian geese, determined to drown another goose by swooping on his head and forcing him underwater. The goose would then swim under water and pop up about ten metres away as his bullies scanned the water looking for him. As soon as he surfaced, the two geese would be on him again in a blaze of feathers and fury. We watched the attack, holding our breath as each attempted drowning was followed by an underwater swim and a quick breath of air before the geese were back on the trail. Suddenly it seemed a lifetime since we’d seen our half-drowned goose. We checked the surface of the water, scanning for a sign of life. Nothing. More time passed and we started to believe the goose had drowned as the other two geese started honking out cackles and flapping their wings in victory. Just as we started lamenting the goose’s demise, a little figure popped up on the side of the waterhole. He’d swam at least thirty metres underwater in a final attempt at escape. He was soggy, but undetected and alive. 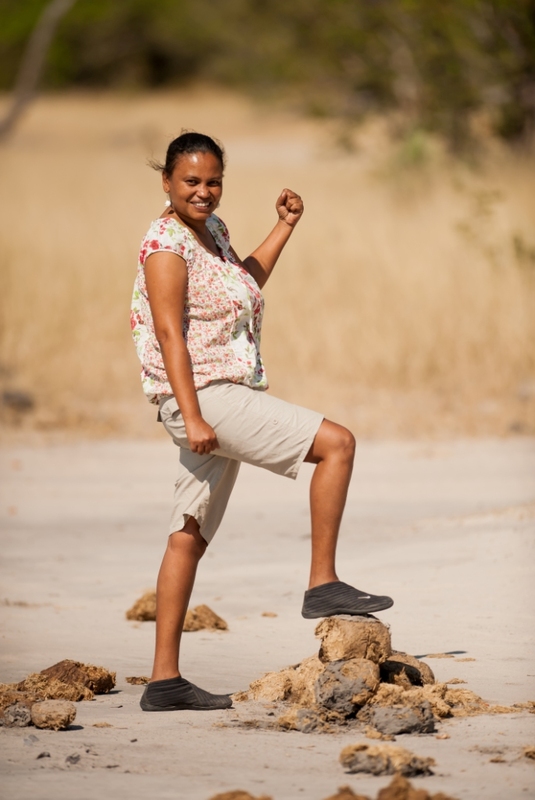 We headed back to Somalisa Camp to pack our bags and move on to another part of Hwange. As we wandered around the main camp gossiping about the morning’s sightings, I was distracted by movement out the corner of my eye. Across the plain near the tree line, impala were scattering. I pointed and yelled gibberish, trying to get everyone’s attention while trying to figure out what I was seeing. “Um, lion…” I shouted on impulse, watching something straw-coloured fifty metres away chasing the antelope. “No, cheetah!” said Nick as we watched the chase becoming un-successful, the impala running faster as the cheetah slowed, panting with fatigue. Nick ran for the vehicle and brought it around as the cheetah retreated to the tree line. We were going to try and catch up with her in our last ten minutes in camp. We drove the tracks and scanned the grass. We knew the cheetah had been right where we were only moments ago. We drove forward & back, looking for leaves or grasses moving. “At this time of year, all she has to do is lie down and you’d never know she was here” said Kay. True enough, she’d disappeared for good, probably hiding no more than twenty metres from us, but in the thick shrub, we didn’t have a chance. This was why searching for game in green season held an exciting element of the unknown. You just never knew what was hiding in the long grass. 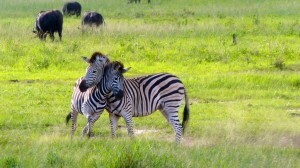 Hwange is surprisingly close to Victoria Falls and accessible by tar all the way up to Hwange Main Camp. Road transfers from Victoria Falls town will get you to the lodges on their own private concessions bordering the park in approximately 2 ½ hrs. Flights from Victoria Falls will get you to camps within the park in 45 – 55 minutes. Due to Hwange’s close proximity to Victoria Falls, the park is a logical extension to any Botswana itinerary finishing in Victoria Falls and can be very cost-effective as compared to a delta fly-in. Like the parks in Botswana, there are no fences around Hwange National Park, meaning game can move freely between the park and the lodges on small private concessions outside the park. The terrain in the north of the park around Sinamatella features a lot of hills, granite kopjes and deep valleys, whereas Hwange Main Camp is characterised by open grassland surrounded by acacia woodland. The landscape further south towards the Linkwasha concession changes again, with more Molokwane Palm trees and open pans. The diversity of the park makes it easy to combine two separate camps in two separate areas and achieve a varied safari experience. 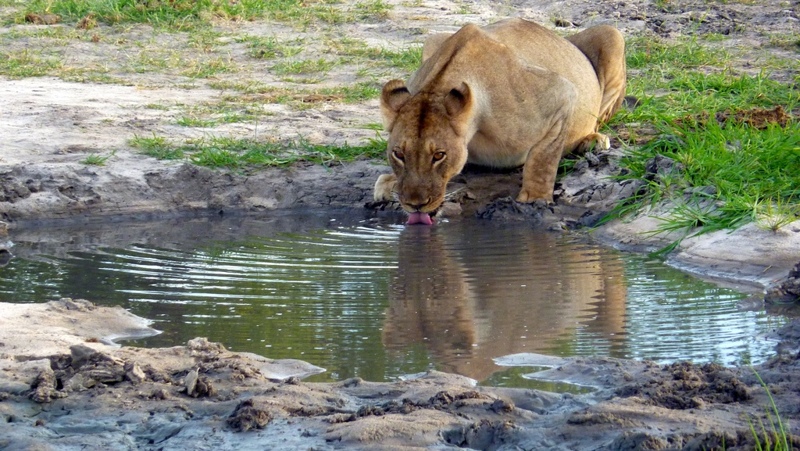 Lodges/Camps outside Hwange: While these properties are not technically in the park, they experience good numbers of game moving through in the dry season and some have very productive waterholes and resident populations of game that can be reliably sighted. Most of the camps offer game drives on their own private concessions with the option to game drive inside Hwange National Park as well. We recommend pre-paying park fees to provide clients with the option of both. Camps inside Hwange: Staying inside the park provides a more intense bush experience and removes the necessity of checking in at park gates before and after game drives. The camps inside Hwange National Park have small private concessions around them, enabling more relaxed sundowners without a rush back to camp before park closing times. Some of these camps can also offer short night drives, something which is not permitted inside national parks in Botswana. 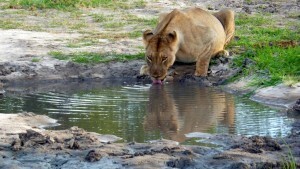 What to combine it with: Hwange is very much a dry land game viewing destination. The park roads are easy-going and very well sign-posted making it a great introduction to a safari before continuing to Botswana. Hwange National Park works very well combined with a houseboat experience or Chobe Savanna Lodge in the Caprivi (opposite Chobe National Park) for a dry land and water contrast before continuing to the dry land game viewing of the Khwai Community Area or Moremi Game Reserve. Pre-Packaged Options: Check out our 8 Night Elephant Paths itineraries combining Hwange, Victoria Falls and Chobe or extend to a 10 Night Elephant Paths package with a fly-in to the Okavango Delta. All packages can be downloaded from our Agent’s Corner. A safari in Botswana is a true wilderness experience of exploring bumpy tracks in the bush where boundaries are marked by lines on maps and not by fences. Our famous wildlife areas are untamed places where animals roam freely in their natural habitats. The bush in Botswana is not a controlled environment and safari goers will get the most out of their experience if they know what to expect from the bush. An encounter with an animal on safari is an encounter with the wild. There are no barriers between you and the wildlife, which not only gets the pulse racing, but also results in a level of risk. 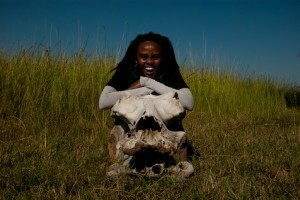 When in the bush, remember that your guide understands animal behaviour and the bush around you. 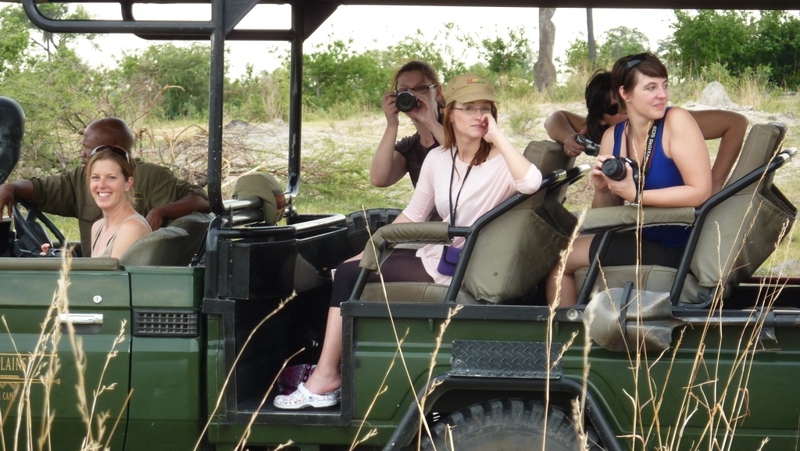 If you listen to your guide you can be assured of the best possible safari experience, as well as your safety. When in camp, guests should never walk unattended at night, or go for a walk outside main camp during the day. Animals roam freely in the bush and can often be spotted strolling along the paths in camp at night, or drinking out of the swimming pool, which is often what makes a safari more exciting. The bush in Botswana is not tamed by humans. Camp staff and guides do not intervene in the lives or deaths of animals. While roads may be maintained for game driving, the bush is otherwise left in its natural state. 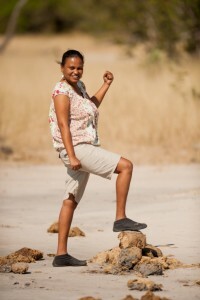 Visitors to Botswana need to be careful not to leave rubbish such as cigarette butts or toilet paper in the bush and also not to pick up anything they find on the way, especially animal remains such as teeth, bones or skins. 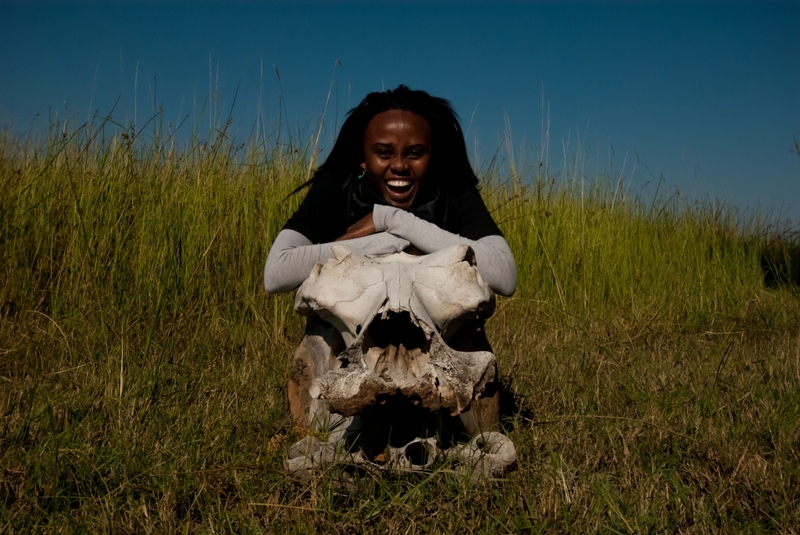 The exportation of animal remains is highly illegal and a well-intended bush souvenir could end up becoming a ticket to trouble. It is ok to pick up and look at things in the bush when instructed by your guide, but anything from the bush should be left where it is found and never packed for home. Due to Botswana’s high-yield and low-impact eco-tourism policy, we’re lucky to be able to offer a more exclusive bush experience than many of our neighbours. To keep the experience exclusive, most camps have a policy of no more than three vehicles at any sighting. This helps to reduce impact on the animal being observed, as well as allowing for guests on the sighting to have a more relaxed time with the animal and better photographic opportunities. In order to encourage a better experience for all, guides will move on from sightings after 10 minutes or so when there are vehicles waiting. Self-drivers visiting Botswana should keep this etiquette in mind when visiting the parks and try not to crowd animal sightings, but wait for excess vehicles to move off. When transiting through the parks always wait for elephants in the road and allow plenty of space for safety when passing. Self-drivers should respect the rules of no off-road driving or driving after dark, should stay in their vehicle except at marked rest stops and should carry a satellite phone or GPS in the event of any emergency. If an incident occurs while en route to a lodge, guests should keep in contact with their next accommodation and request assistance if necessary. While on safari it is easy to become dehydrated and exhausted by the elements, especially in the later months of the year when temperatures peak. Bottled water in Botswana does not contain the same minerals as water at home and needs to be supplemented with juices and soft drinks for proper hydration. 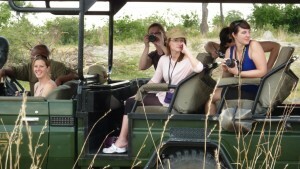 Days on the safari vehicle can be long and the weather changeable. Dressing in layers with lighter clothing underneath is the key to remaining comfortable and avoiding over-heating and freezing. Guides pack refreshments for game drives and will be more than happy to stop and hand out beverages as requested. Bright colours are best avoided in the bush as they prevent you blending with your surroundings during activities, especially during game walks.